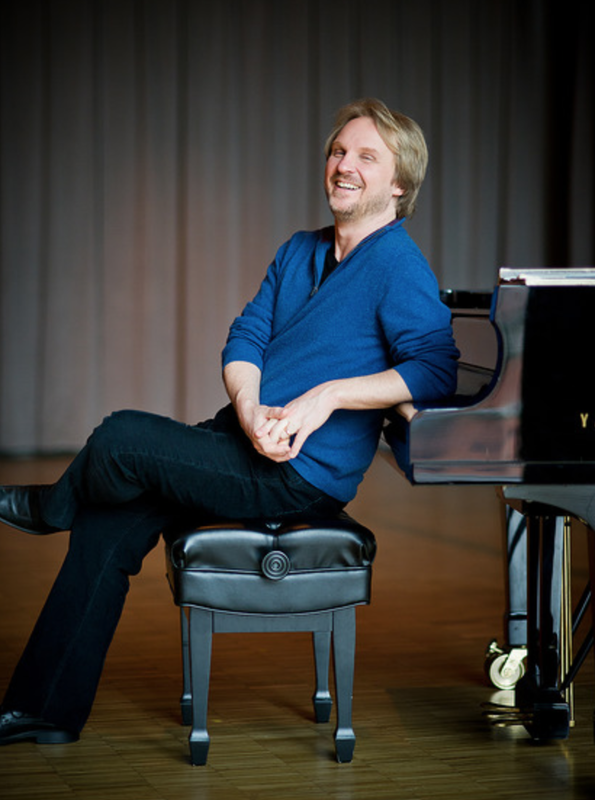 Pianist Peter Longworth has established himself as one of the most sought after performers of his generation. Equally comfortable as soloist and chamber musician, he has performed in cities around the world. In North America stops include New York, Chicago, London, Montreal, and Vancouver; abroad, he's performed in London, Moscow, Brussels, Glasgow, and Nice. He has been a soloist with the Chicago Symphony Orchestra, the Fairbanks Symphony, the Vancouver Symphony, Kitchener- Waterloo Symphony, and other orchestras in North America. Mr. Longworth has collaborated with conductors such as Bramwell Tovey, Edwin Outwater, Eduard Zilberkant, Nikolas Caoile, and Joseph Rescigno. After a successful performance during the 11/12 season, Peter was invited back to perform during the 12/13 season with the Kitchener-Waterloo Symphony Orchestra and he will also appear with the Canadian Sinfonietta. Peter appears regularly at Kairos Music Festival in Washington State, Music and Beyond Festival in Ottawa, and has made previous appearances at numerous festivals across the continent, including the Malibu Coast Music Festival and the Ottawa International Chamber Music Festival. Mr. Longworth is a founding member of the Duke Piano Trio (with violinist Mark Fewer and cellist Thomas Wiebe), which has performed throughout the United States and Canada. Peter continues performing with Mark, and has appeared in collaboration with many of today's finest instrumentalists including violinist Camilla Wicks, violist Steven Dann, clarinetist Joaquin Valdepenas, and bassist Joel Quarrington. Peter is an active recording artist; he can be heard on the Azica Records label, with a recording of the complete Brahms violin and piano sonatas with Mark Fewer and another Brahms recording of solo piano music on the same label. Since 1991, Mr. Longworth has been a faculty member of the Glenn Gould School in Toronto. Through his work there as a private teacher, and as one of the key facilitators of the chamber music and collaborative programs, he has influenced many of the most gifted young musicians of the next generation.